Dogs have occupied William Wegman’s artworks ever since he brought his Weimaraner to his studio in 1970. Being Human tracks three decades of relationships between the enigmatic American artist and his four-legged muses. His first collaborator was the camera-loving Man Ray, an insistent participant in Wegman’s work in the 1970s who become one of his most important inspirations. In the mid-1980s, his second Weimaraner, Fay Ray, shot to true art-world stardom, followed by several generations of puppies. 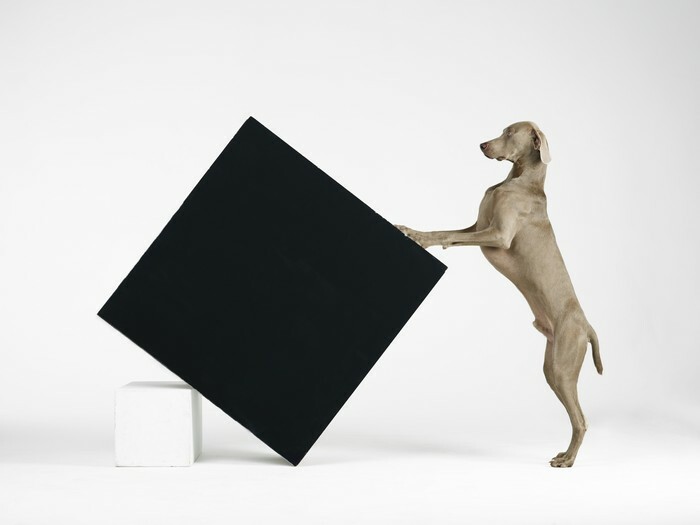 Wegman’s world may revolve around his celebrated dogs, but his choices of sets, costumes and props reveal a fascination with art history – cubism, colour field painting, abstract expressionism, constructivism, conceptualism and, of course, photography itself.